The resort guest can easily see the images on these large ISR coroplast SKI posters when they are placed around the resort's learning area. 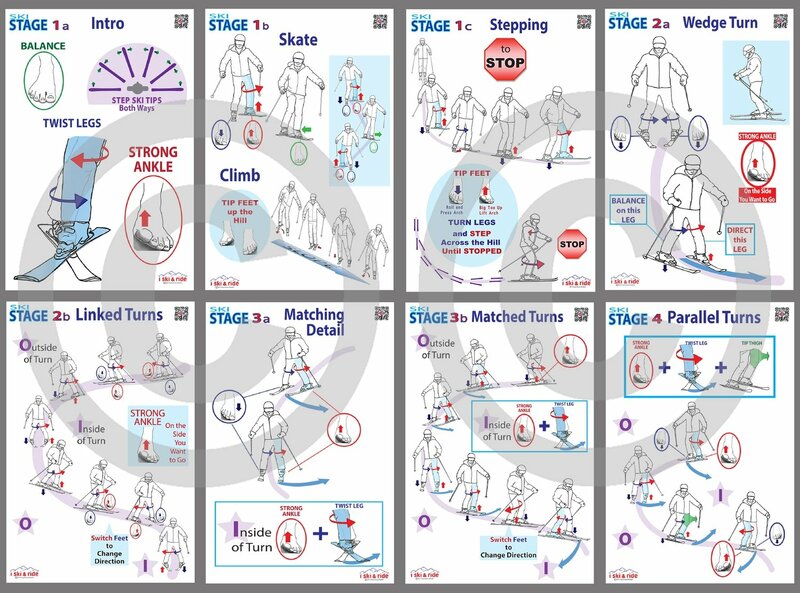 Posters help to convey the movements needed to learn how to ski or snowboard so that all can more clearly understand and experience success. These sturdy coroplast posters can be permanently affixed to a sign post, or placed on weighted A-Frames.